In early 2010, I was given notice that I’d be deployed to Iraq for a third time. Rebecca, my wife, JT our son and I had experienced this as part of my service before – but it would be the second time I’d be deployed since starting my career as a sales person in the pharmaceutical industry. I was familiar with the company’s policies for full- and part-time employees serving in the military. My employer, Novo Nordisk, had been extremely supportive of my Army Reserve career since joining in 2005. Knowing that I was being activated again, it gave me comfort to know that my family would be taken care of as I continued to receive my full pay, benefits and 401K contributions for a year while I was mobilized and deployed overseas. Moreover, knowing I would have a job when I returned from duty was a huge relief during this challenging time. Even with these benefits, I wasn’t sure what to expect once I left my sales position in Indianapolis. I had no reason for concern. From the time I told Tom Cusick, my District Business Manager and our “chain of command,” Scott Hocking, Regional Business Director and former Unites States Air Force Officer, and Basil Denno, East Area Vice President, the support I’ve received was overwhelming. While I was deployed to Joint Base Balad, Iraq from March through December 2011, I spoke regularly with my colleagues from the East Area via email or with a phone call back to the states. Basil Denno, Novo Nordisk’s East Area Vice President, went above and beyond by coordinating a friendly care package challenge for his sales teams which started right after Memorial Day and continued through the 4th of July to show their support for the men and women serving our country. 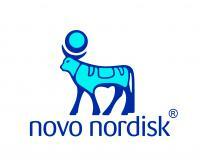 By the end of July, I received over 90 boxes from my colleagues at Novo Nordisk. All of the contents in those packages were distributed amongst the service men & women and nothing was ever discarded or thrown away. Once a month, the US Army & US Air Force would sponsor an Iraqi Kidz Day in which children from the neighboring villages would be brought onto the base for a day of activities. The items not used by the service members were distributed amongst the children. Some of those items included candy, coloring books and small toys for the children. It was our way of bringing a little joy to some very deserving kids. As I transition back to my work on the sales team, I’ve been touched by the support of my colleagues and the time they’ve given me to ease back into my daily activities. I was also able to take some leave to reconnect with my family which has also made this transition less stressful. Because of the incredible experiences I’ve had as a Novo Nordisk employee while serving my country as a reservist in the military, I nominated the company for the Employer Support of the Guard and Reserve (ESGR) Freedom Award while I was deployed to Iraq. The award is the highest recognition given to employers – only fifteen companies are chosen each year by the Department of Defense. I didn’t realize it at the time, but my colleague from Maine, Lt. Commander Frank Couture, a US Navy Reserve Officer, also nominated Novo Nordisk for the award based on the support he had received while he was deployed. As far as I’m concerned, Novo Nordisk is already a winner when it comes to the policies they’ve developed for their military employees. As a military officer with over 25 years of experience, their actions define leadership. It’s this style of leadership that sets Novo Nordisk apart and creates a real support system – one that I could count on when I was sent 6,500 miles away from home.